Faith sometimes involves doubt, but it results in knowledge of God. So for all of its complexity, it is worth it. 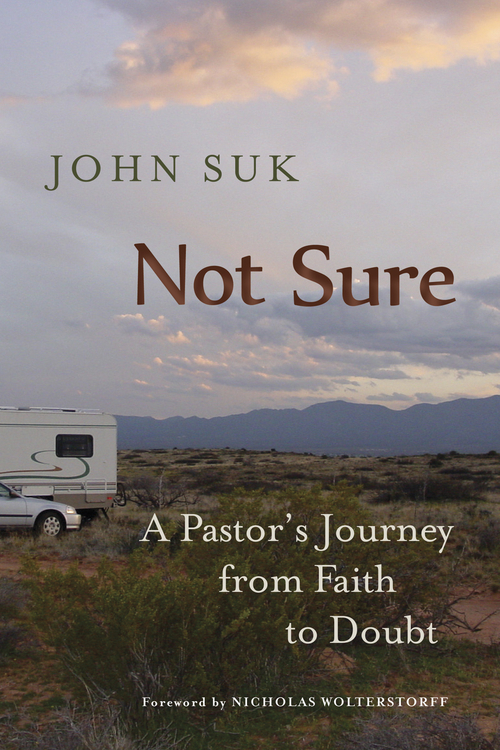 Not Sure: A Pastor's Journey from Faith to Doubt by John Suk. William B. Eerdmans Publishing Company, 2011. 2121pp. I was reading Not Sure on a crowded metro commute. After a time, I lifted my eyes and found a pair of women observing me. One was surveying the book cover; the other was surveying me. The latter met my eyes and cast a sanctimonious glare. I turned and found a man reading over my shoulder; a handful of passengers to my left and to my right were alternating their gaze from my book to my face. This always happens. People judge others by their book covers and make sweeping appraisals of their character. Read in public with caution. However, this title—Not Sure—bothered me, because I am sure. I am even sure that I am sure, so I am meta-sure. "I know what I believe," I wanted to say. "This isn't a self-help book. The author isn't sure, but I am fine. Stop looking at me." In the company of strangers, I felt unsettled by the projection of doubt. And this makes sense because doubt also unsettles me when I am alone and no one can see it. The only doubts that I want to share are settled doubts, the ones that are no longer live and virulent but attenuated and packaged. I will open my settled heart and neatly articulate the falsification of that doubt within a broader proof: a triumphant account of why what I believe is correct and about how I am sure. This turns out to be the most difficult question, one that I have studiously avoided so far. One obvious way to answer this question is to ask, What does Scripture say faith is? But the answer from Scripture itself is complicated by the fact that the intended audiences of Scripture were people, by and large, who could not have conceived of contemporary doubt as an issue that needed to be addressed. . . . The real faith issue is that of trust. Maybe this is why I am ashamed when I doubt. Honestly, it is not that I have any compelling reasons to disbelieve. It is simply that I fail to trust God. I don't want everyone on the metro to know that I have submission problems. In Bonaventure's Disputed Questions on the Mystery of the Trinity, he writes, "In God the Trinity and the highest unity are not contradictory, but manifest a marvelous concord and harmony, according to what the most saving faith says. And the soul purged and elevated by faith can grasp this to some extent; in general, it is difficult and impossible to understand anything unless one first assent to it." Assent precedes understanding. You must rest in a belief and make your place there and subsequently decide if it is a satisfactory account for what you know about the world. Thus at the point of deciding—when it comes down to negotiating whether or not to believe in the Gospel—the decision has already been made. When you decline assent to that thing—or submission to that person—you forfeit your understanding of it. "You should no longer walk as the rest of the Gentiles walk, in the futility of their mind, having their understanding darkened, being alienated from the life of God . . . who being past feeling, have given themselves over to lewdness, to work all uncleanness with greediness" (Ephesians 4:17-18). Belief is a posture of the heart. It is about submission. Secondarily—post-assent—you can falsify, but I do not believe rational falsification is why we most often doubt. I think it is lack of submission. It is what Suk cites above—a problem with trust. Suk pins doubt upon modernity. He testifies of his own faith, "I have always courted a lover I could not have—certainty. But this is, in large measure, because ultimate religious truth lies outside the investigative competence of modernity." However, doubt is a philosophical posture, not a theological one. It does not account for the fullness of humanity and qualities that are not strictly reason-based. I think this is where Suk muddles a few notions. Doubt is the centre of the modern project. It was Descartes's (poisoned) gift to us, and it rests on the misguided assumption that humans are primarily rational—the res cogitans. Yet even within the reductive material field of the Cognitive Sciences, there is a growing body of evidence that attests to the fact that we are not primarily rational, robotic processing units. We are dynamic, unreasonable, inconsistent, appetitive, desirous creatures. We act against our best interests and need therapy. We maintain beliefs despite evidence to the contrary. The telos of cognition is not even truth; it is adaptive fitness. The fact that we think and arrive at truth is tangential to the act of thinking altogether and basically happens because it is beneficial to survival if we live in a world that we correctly understand. We are not primarily rational. We are primarily living. Certainly, Suk is right to some degree: We seek certainty and worldview consistency. More than ever before, we approach information with greater circumspection and maintain more stringent qualifications or alpha levels for what counts as truth. If an entity is not measurable or empirically verifiable, we should not voice it, and this does cause problems for faith based on an infinite, immeasurable Being. But this is about our minds, not our hearts. If God's Word is true, it cannot actually be refuted. Of the Gospel, Lesslie Newbigin writes, "The question of truth is at stake. . . . If it is true, it is universally true, just as [a] statement about the DNA molecule is true; if it is true at all, it is true for everyone." 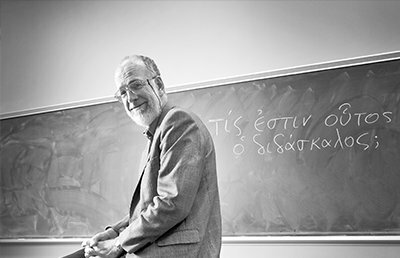 Suk posits, "The intended audiences of Scripture were people, by and large, who could not have conceived of contemporary doubt as an issue that needed to be addressed." Yes. The Pauline epistles contain no thorough explications of the lack of objectivity in phenomenology because it would have fallen on deaf ears. But I believe I am also the "intended audience" of Scripture and that it accounts for my needs and epistemological qualms. Lack of trust is a problem true for all people, throughout time, because we are sinners. We have fallen natures. We are recalcitrant and unwilling to submit. Our hearts are turned away from God. The surface conditions precipitating in doubt change over time. God is immeasurable and therefore "empirically unverifiable" is the reason I give for not believing now. In the past, it was probably something else or maybe a more overt acceptance of the reality of God but rejection of his kingship. Still, the heart of the matter is always the same: I do not want to make God the Lord over my life. Faith knowledge is of a fundamentally different character than other content or relational knowledge. 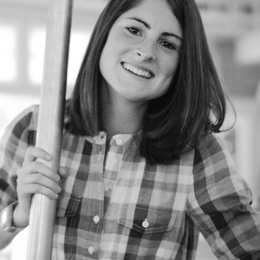 When you commit to learning about a subject, like a person, information accrues. There is a positive trajectory of familiarity and depth of understanding in personal relationships. You grow in confidence. In broad strokes, this occurs in a faith relationship as you spend time with God in the Word and in prayer. However, this way of speaking has limitations because of the possibility for radical doubt. Sometimes, you drop off the relational cliff and question everything. Other times, you have trouble discerning God's voice. Invariably, your sinful behaviours—your lack of forgiveness for others, your impatience, busyness, idolatries, anxieties, prodigality, and pride—breach that fellowship and stifle your understanding of this perfect, other, infinite Trinity. You cannot wrap your mind around a Holy Mystery. You can be a steward of it (1 Corinthians 4:1), but you cannot digest it or possess it in the way that you do with other fields of knowledge or with created entities of comparable finitude. God is my Lord, my Creator, Sustainer, Saviour, primary confidante, Perfector and Finisher, and the One with preferential access to all of my thoughts, who possesses my future. This is the deepest personal relationship I will ever experience, and I cannot mean that in the way that I typically speak of personal relationships because the substance of the Person of God is both radically other and wholly immanent within my own person. In accepting Christ, I become His dwelling place. Therefore, in this bidirectional asymmetry—the perfection and completion on God's end and the blundering fickleness on my end—faith knowledge stands as an epistemologically aberrant form of relational knowledge. I don't actually relate to God and grow in knowledge the way I do with people. This is where John Suk rests his hat. We're left with trying to account for the plain sense of what evangelicals seem to be saying when they speak of a personal relationship that is pretty much the same relationship they have with other people. Jesus speaks, they listen. They hurt, Jesus comforts. Jesus walks, they follow. They are not sure, Jesus reveals. . . . As a pastor, I met quite a few people who experienced doubt, or perhaps anger, because they didn't experience God the way their Christian friends seemed to. They can't say they've felt his presence, listened to his voice, or argued with him. . . . They feel deficient. . . . And they feel like frauds, because the very frequency and offhand familiarity of "personal-relationship-with-God" talk creates rhetorical pressure to conform, to nod, to say "yes, I know what you mean," when they don't, and to act as if such a relationship is the universal reality of all Christians. In passing, the editor remarks that a lot of the dissensions among evangelicals come because of their susceptibility to political captivity and "rampant individualism." This claim is made with reference to the hazards of individualism for the global evangelical church, but individualism is also a substantial concern on the level of the individual. We attempt to rest in a personal experience of God that wanes or does not adequately define real faith life, and we find ourselves spiritually defective as compared to a cultural evangelical expectation of "Jesus is my homeboy" notions. We deem ourselves counterfeit, and we are isolated. We are alone, and we doubt. The Divine-human relationship can be easily contaminated by human myopic conceit. God only exists insofar as we are experiencing Him, and we craft Him into our own likeness—making Him into a perfected version of ourselves, with our own appetites and priorities. It seems all species of evangelicalism in some way respond to this: If the heart of worship is the human experience of God, then the faith is endangered by the entanglements of human idiosyncrasy. Evangelicalism can readily become diluted by a diffuse subjectivity that compromises shared beliefs. Subjectivity is personal ownership because your experiences are yours alone. It does not allow you to say much about the faith at all without offending someone. In reality, people may not be experiencing God as different; they may just be experiencing their own personalities. If I am highly expressive and affected in my emotional constitution, God seems to engage me in that way. If I am more reason-based in my approach to the world, I might experience God more propositionally and in the realm of ideas. Then God appears to me as a series of thoughts and high notions—logically consistent and sensible—and He seems unemotional, as befits my own narrow emotional life. Since evangelicalism is largely relationship-based, it must have a corrective in place that maintains a centre, so that God Himself does not become reduced to our experience of God. In Four Views on the Spectrum of Evangelicalism, we find heat and tension among evangelicals in their strategies to overcome idiosyncrasy and preserve the integrity of the Christian faith. This happens through a firmer reliance upon creeds, a commitment to literalist expositions of Scripture, a call for participation in corporate worship and community, or other options. But identifying the proper antidote to the problems of the subjectivity in faith is difficult because we cannot agree about what a vital relationship with Jesus should look like, or even what evangelicalism means. Al Mohler writes, "The definition of evangelicalism is inherently contestable . . . only because the definition of authentic and healthy Christianity is inherently contestable." It makes me wonder: Do Christians congregate into their particular sects based on shared personal qualities, rather than convictions about who God is? Has our faith become too much about us? Is the spectrum of evangelicalism actually the spectrum of differences in how humans experience the world and God? 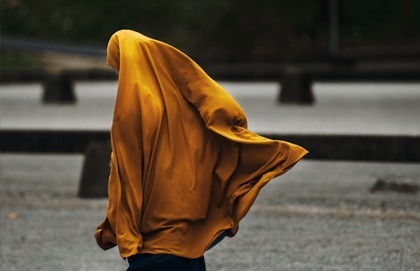 How much has individualism overtaken our faith, and is Suk right in turning our attentions away from the notion of the personal relationship altogether? I don't know. These are live questions. I am sure, and it is personal. John Suk's qualms are justified, and he has correctly identified a serious problem with individualism in Christianity. However, he makes the strong statement, "The faith nurtured by this experiential focus is often described as having a personal relationship with Jesus. I don't think we can have one." I am not prepared to go that far. I think that our relationship with God is primarily personal and that our doubt is primarily about a posture of disobedience before God. But I also believe that the notion of the personal relationship is often wrongly construed. We misunderstand that the character and timbre of our relationship with God are fundamentally different than with all other personal relationships, and personal relationship should be read as a covenantal relationship, not an experiential one. I am in a covenant with God, and sometimes I can experience it; sometimes I cannot. It is always personal because I must submit to God to understand Him, and because my heart dictates my attentions. My rationality does not. Faith cannot start in reason. It has to start with a posture of the heart. But we should be reminded that the predicates of the modern project do not stand on their own terms. Objectivity is a fallacy because the scientist is a human, too—messy and appetitive, with personal interests and sometimes requiring therapy. His work is tainted at the outset by his attentions. He looks for what he wants to find, and expectancy biases impact all of his work. He functions within a paradigm. He assumes that the rules that governed the past will be active in the present. The scientist starts with faith. He submits to his discipline. He is standing on something. When I can't feel God, I can read his Word to know his heart. I can rest in the tradition of the church. I have Christian friends and their experiences to draw upon. I can read Christian literature. I can reflect back upon the way God has changed me. I can look around at the order and beauty in the world. I can experience love and reflect upon its source. I can pray and wait upon God. I am never left completely alone with nothing to cling to. Faith knowledge is different from other relational knowledge because it involves submission, asymmetry, and mystery. But like all other fields of knowledge, it is tainted by personal idiosyncrasy and it rests in trust. Faith sometimes involves doubt, but it results in knowledge of God. So for all of its complexity, it is worth it. I am sure that it is worth it. And I am sure that I am sure, so I am meta-sure. It would be a sign of hope for Christians to take the lead in making room for Muslims out of Christian conviction. Learning to welcome Islam is a way to relearn what democracy is about.